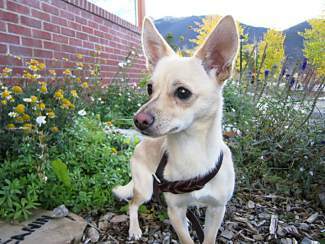 Pancho is a 1-year-old neutered male Chihuahua mix. His last owner decided he wasnât a good fit for his home because he played a little too rough with his cats. Heâs a very loving, cuddly guy. Heâs extremely smart, and loves to exercise his brain. He loves to play and run, and does very well off leash.